The import of a single code TN VED within the scope of services of the company "Association of Customs Brokers" and is widely in demand among a large number of customers. Using a single code is intended to facilitate the classification of goods and their declaration, to optimize the timing and to reduce to a minimum the amount of customs and certification documents. 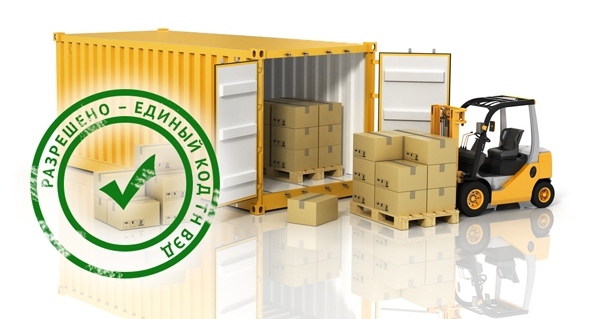 The basic document for all persons involved in foreign trade activities in the territory of the Customs Union is "United commodity nomenclature of foreign economic activity", designed to classify goods and assign it the necessary code to ensure the transparency of customs operations and proper control. Often commodity identification of high-tech equipment is accompanied by a number of problems when trying to import clearance. It is a question of complex assemblies and components, multi-component plants, assembly lines, production lines, industrial equipment, import of which (in parts) in the country is carried out in several stages, at different time intervals. Sometimes the hardware components are delivered from different countries, it takes several months or more. Final assembly is carried out already in the company in the destination country. It is obvious that following the generally accepted principles of classification would involve the selection of codes for each type of components and filling the declaration for all consignments separately. To simplify import, was introduced a single HS code. Our experts will help you in obtaining appropriate authorization and Declare all imported components. According to the law, the term of the decision on the declaration of a common code is 90 days from the date of submitting the required documentation, and application submission. Filling out the final customs declaration and submission of customs payments occurs after the completion of all the stated supplies. classification simplification (identified by the assembled unit or equipment). Despite the obvious advantages of this approach, the lack of professionalism on the stage of collecting the documentation and legal errors can be a real obstacle to obtaining HS code. With the help of our experts you can quickly and easily pass the registration of a multi-component equipment.